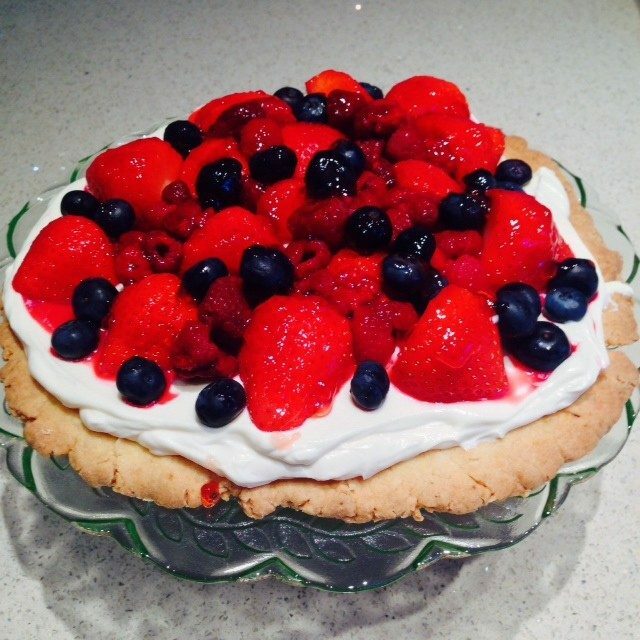 A delicious and easy tart that the whole family will love. Source: Mary Berry. 1. Preheat the oven to 180c / 160c fan / gas mark 4. 2. Measure the shortbread ingredients into a food processor and whiz until the mix forms into a ball. 3. Roll the shortbread mixtures onto non stick paper or a floured flat baking sheet to make a round about 25cm (10 inches) in diameter. 4. Using your thumb and index finger, pinch the pasty all the way around the outside to form a crimped edge. 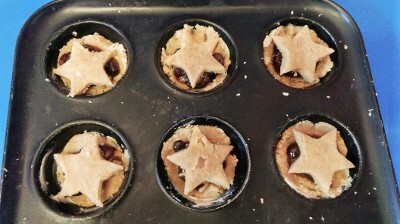 You can make & bake the shortbread base up to a week ahead, wrao in foil, then finish the tart on the day. The shortbread base freezes well. 6. For the topping, beat the mascarpone, cream, sugar and vanilla together in a bowl until blended. 7. Take a plate large enough for the shortbread. Spoon a few blobs of cream mixture ontp the plate and sit the shortbread on top (this prevents it from moving). Spread the remaining cream mixture over the shortbread base, leaving a 4cm (1.5 inch) gap around the edges so that you can see the crimped edge. 8. Cut the strawberries in half and arrange the halves cut side down on top of the cream. Sprinkle raspberries and blueberries over the strawberries to fill in the gaps. 9. Gently heat the redcurrant jelly for the glaze and brush ir over the fruit.